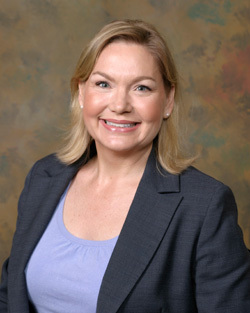 Virginia is a member of the American Bar Association (Real Property, Trust and Estate Law Section), the Tennessee Bar Association (Elder Law, Estate Planning & Probate Sections; former West Tennessee Delegate on the Executive Committee of the Estate Planning & Probate Section and past editor of the Estate Planning & Probate Section Newsletter), the Memphis Bar Association (2016-2017 Board of Directors, Wills/Probate Section), the Association for Women Attorneys, the Estate Planning Council of Memphis, the Professional Advisory Group for the Jewish Foundation of Memphis, as well as a member of the Professional Network on Aging (2017 Board of Directors, Parliamentarian). She is also a member of the National Academy of Elder Law Attorneys (NAELA), ElderCounsel, and is an accredited attorney with the U.S. Department of Veterans Affairs. Virginia received her undergraduate degree with Honors from Rhodes College in 1978 and her law degree from The University of Memphis College of Law in 1983, where she served as Comments Editor of the Law Review. She is an alumna of the University of Tours, France and University College, Oxford, England. Upon graduating from law school, Virginia clerked on the Sixth Circuit Court of Appeals for the Honorable Harry W. Wellford. Thereafter, she joined the law firm of Armstrong, Allen as an Associate and later Great Western Consumer Finance Group, a part of Great Western Bank, as Associate Counsel and then Senior Counsel. Virginia has been in solo practice since 1994 when Great Western moved its headquarters from Memphis. She has concentrated her law practice in the estate, elder and probate law fields for over fifteen years. Virginia is married to an attorney, J. Mark Griffee, a civil litigator and a member of the law firm of Black McLaren Jones Ryland and Griffee. Their daughter is a first year law student at the University of Chicago Law School and their son is a senior at the University of Tennessee in Knoxville. Virginia is a supporter of The American Heart Association and the Boys and Girls Club of Greater Memphis. She is also a sustainer for the Junior League of Memphis and a member of the National Society of the Colonial Dames of America. Virginia has written numerous articles on topics in her practice areas for various publications. She makes presentations to various groups in our community which serve her client base and speaks at seminars for attorneys - most recently at a National Business Institute seminar in Memphis in the area of asset protection and estate planning (2016). Ms. Griffee can be reached at 901-244-7674. We serve all of West Tennessee, including but not limited to Shelby County, Fayette County, Tipton County, McNairy County, and Madison County, as well as the cities of Memphis, Bartlett, Collierville, Germantown, Cordova, Millington, Bolivar, Dyersburg and Jackson, TN.